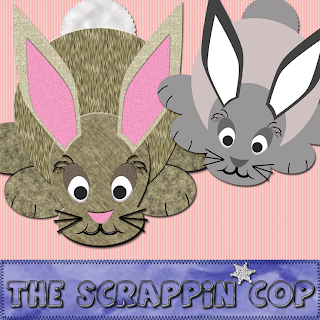 The Scrappin Cop: It's Fair Time so here is the Bunny! It's Fair Time so here is the Bunny! We have to take Petey and Jacqueline to the fair this evening and they are so cute! They are Dutch breed bunnies and Jacqueline is a blue Dutch bunny. In honor of the bunnies I have made a layered bunny template for you! 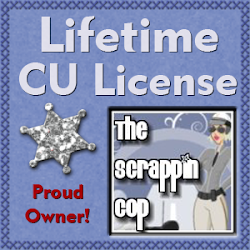 This will come in handy if I ever get around to scrapping the fair pictures I am going to take this week! I finally have all the ADSD Zoo Spirit Collab stuff packed up and ready to go - check back on Friday when everyone releases their great kits and elements. I have seen a lot of the previews and the talent in that group is awe inspiring! Oh, and I finally made the plunge and bought CS3! I am so excited! I can't wait until it comes via UPS! Of course that will keep me busy for awhile learning how to use it (and Illustrator). But I am looking forward to using/creating actions! Anyway - here's your bunny and hopefully I will have time to make another one for tomorrow's post! if i tagged you, you must follow the same rules below!!!! Ive tagged the above:)These are the rules:1. Link your tagger http://gnrrocks-scrapbooking.blogspot.com/ and list these rules on your blog.2. Share 7 facts about yourself on your blog, some random, some weird.3. Tag 7 people at the end of your post by leaving their names as well as links to their blogs.4. Let them know they have been tagged by leaving a comment on their blog enjoy!Have fun!!! 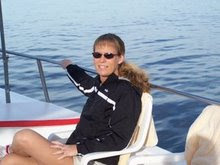 And yesssssss on the new programs, dont think it will take you long to figure them out, and google is a wonderful friend lol.. I just wanted to make a quick visit, I have to get my rear into gear and do the things I have to now lol.. Anyway I am off to see what I can cook up now lol..
Good luck @ the fair! I absolutely loved fair time growing up. I didn't take animals for 4-H - I cooked. Thank you! Your blog post will be advertised on the DigiFree Digital Scrapbooking Freebie search engine today (look for timestamp: 30 Jul [LA 12:00am, NY 02:00am, UK 07:00am, OZ 05:00pm]). I love all these templates! I really love all your supplies! Thanks Bunches for the Bunny and the Link back.